Cocaine Diet: Does It Make You Lose Weight Permanently? Does a Cocaine Diet Help in Losing Weight Permanently? Historically, people who take cocaine have been known to be skinny. They also have been known to eat indiscriminately without adding extra weight, a correlation that has led to the assumption that cocaine and weight loss are part of an equation that works. However, this correlation does not necessarily point to a causative relationship between the two. As coke use comes with a myriad of other challenges like poor personal care, financial challenges, and others, there may be other causative factors that make a person skinny and not just the cocaine mechanism of action. Why does cocaine make you lose weight? This article answers that question and others. Does Cocaine Help You Lose Weight? How Fast Does Cocaine Make You Lose Weight? 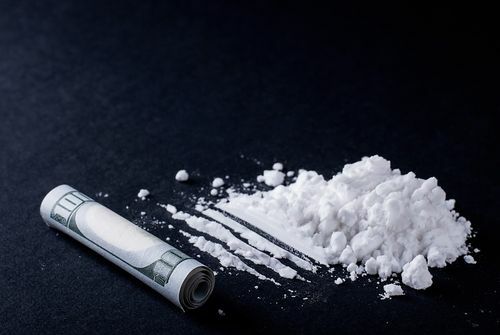 Cocaine is a powerful stimulant that affects the central nervous system, an area of the brain involved in regulating key physiological factors like sleep, breathing, appetite, and others. When the drug acts on the CNS, it interferes with these vital processes in a manner that alters how the body functions. In general, when a person takes cocaine, the body kicks into a fight or flight mode with heightened senses, faster breathing, dilated pupils, an increase in availability of hormones like dopamine, among other effects. In such a state, the body downregulates the need for food while at the same time increasing the metabolism rate. How Does Cocaine Make You Lose Weight? With repeated use, the body experiences a sustained net-negative calorie count, one of the possible reasons people who take the drug are thin. A recent study expanded this understanding of how cocaine for weight loss works by discovering that cocaine alters how the body stores fat. After prolonged use, they discovered there was a notable change in how the body stores fat. In the study, the subjects, though consuming high-fat meals all day, did not seem to store any excess fat as compared to the non-drug-users. So, does cocaine cause weight loss? The study did seem to support the notion. However, the study did not include other factors like frequency of eating, quality of meals, etc. The study also found some serious negative effects associated with the diet. When a person starts a cocaine weight loss diet, the body responds in several ways. As the drug is known to suppress appetite, the person will eat less. Another effect of cocaine metabolism is increased activity in the form of extended waking hours, being nervous and fidgety, etc. These account for more calories burned. After about six months of taking the drug, the person may lose about ten percent of their body mass. Between six and twenty-four months, the mid-term effects of using cocaine begin to become evident. Tolerance to the drug begins to set in, and a dependence begins to form. For the person, it may appear as a fair trade as, by this time, they will have shed another ten percent of their body mass. If the person were three hundred pounds at the beginning, they would now be two hundred and forty pounds. Both their neural reward pathways as well as other gut regulation pathways will also have reached an advanced state of alteration. From twenty-four months onwards, loss of weight increases sharply as the person skips more meals, focuses more on drug-seeking behaviors and generally does a poor job of taking care of themselves. Because of poor nutrition and infrequent eating, cocaine makes you lose weight from malnutrition rather than controlled calorie intake. The person will develop susceptibility to opportunistic diseases that will further compromise the body’s ability to self-repair and store fat. Poor eating habits: Due to appetite suppression, the person will develop eating habits that may deprive them of vital nutrients. Malnutrition: Follows closely after poor habits develop. Neurological problems: These may include headaches, strokes, seizures and in some cases coma. Gastrointestinal complications: The drug’s reduction of the flow of blood to the gut reduces gut motility resulting in pain, nausea or rotting of the gut. Paranoia, anxiety and erratic behavior: These effects can compromise your daily life and disrupt activities like school or work. Tolerance and addiction: As the brain gets used to operating on the drug, tolerance, and addiction set in quickly. Dependence: Physical and psychological dependence can also develop, making it hard to stop taking it even after achieving the target. 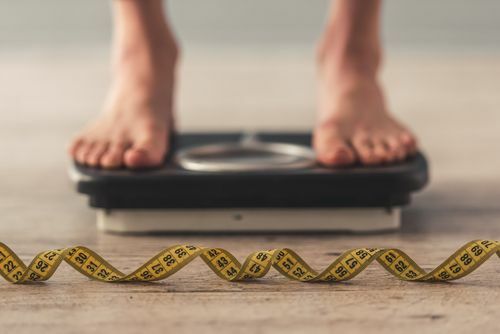 Rapid weight gain after quitting: In the study that found that cocaine suppresses the body’s ability to store fat, the researchers also found that after removing the drug, the body went back to normally storing fat, resulting in rapid weight gain. Can Cocaine Help You Lose Weight? Losing weight the right way combines a nutritious diet, exercise and limiting calories to run a calorie deficit, the result of which is a healthy loss of weight. When a person opts to use a cocaine weight loss diet, the results are more harmful than helpful. The diet opens the person up to risky side effects of taking the drug and ultimately creates a tradeoff between a healthy wholesome life, and a life of being skinny but sickly. Although coke does help one become skinny, trying to quit after reaching the desired target reverses the gains and fat is added back almost as quickly as it was lost, a cruel and ironic outcome. If you or a loved one is on a cocaine weight loss diet, you may be in danger. To prevent the short and long-term effects of using cocaine from taking hold of your life, get help today. Call (888)-459-5511 today to speak with a knowledgeable representative. Addiction Resource » Addictive Substances: The Anatomy of Drug Addiction » Cocaine and Crack Addiction and Treatment » Does a Cocaine Diet Help in Losing Weight Permanently? Hello my daughter is long term crack cocaine perception drugs for 20 years she is 34 years old down to 4 stone won’t have help also she under Mental health aswell please help .